Pack up the pumpkin pie, and give thanks to the economy. 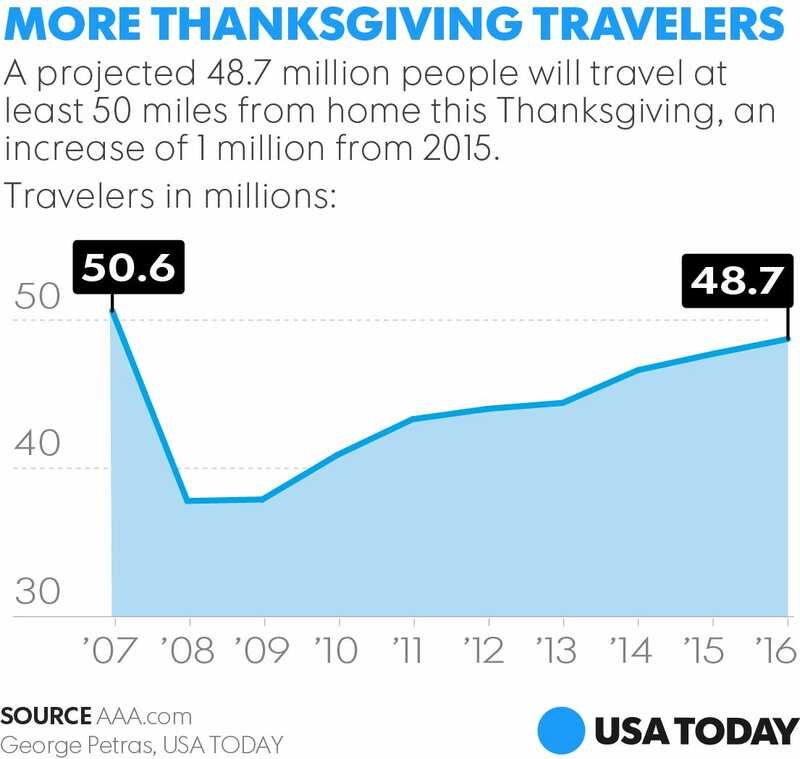 One million more Americans are expected to travel this Thanksgiving than last year because of a boost in consumer confidence, according to the auto club AAA’s travel forecast released Tuesday. The projected 1.9% increase in travelers would mark the eighth consecutive year of growth, boosting totals to the highest volume since 2007. 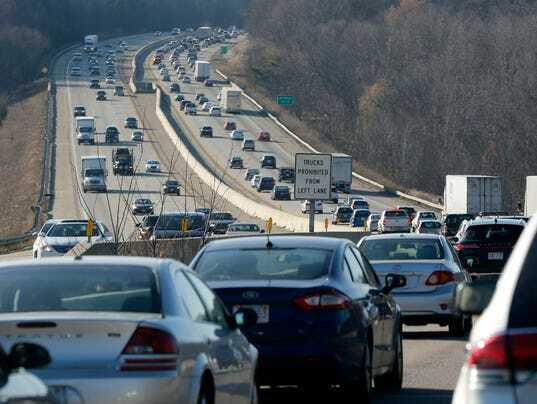 Nearly nine in 10 people will travel by automobile, despite recent incremental increases in the national average price of gasoline. “Others will fly, take the bus or set off on a cruise to celebrate with their loved one,” said Marshall Doney, CEO of AAA. The top four destinations, based on AAA.com bookings, are the warm weather spots of Las Vegas, San Francisco, San Diego and Orlando. New York City, home of the Macy’s Thanksgiving Day Parade, ranks fifth. The increase in travel is spurred by improvements in the economy during the second half of the year, including rising wages, increased consumer spending and overall strength in consumer confidence, according to AAA. Most drivers will pay the second-cheapest Thanksgiving gas prices since 2008, when the national average was $1.85. Airfares are projected to increase 21%. Hotel rates are relatively flat; travelers are spending an average $155 per night. The projection for 48.7 million travelers from Nov. 23 through 27 is based on economic forecasting and research by IHS Global Insight. The expected 43.5 million travelers on the road would be the most since 2005. Airplanes will carry the most passengers since 2007. Previous article How far can Cowboys go with Dak Prescott?